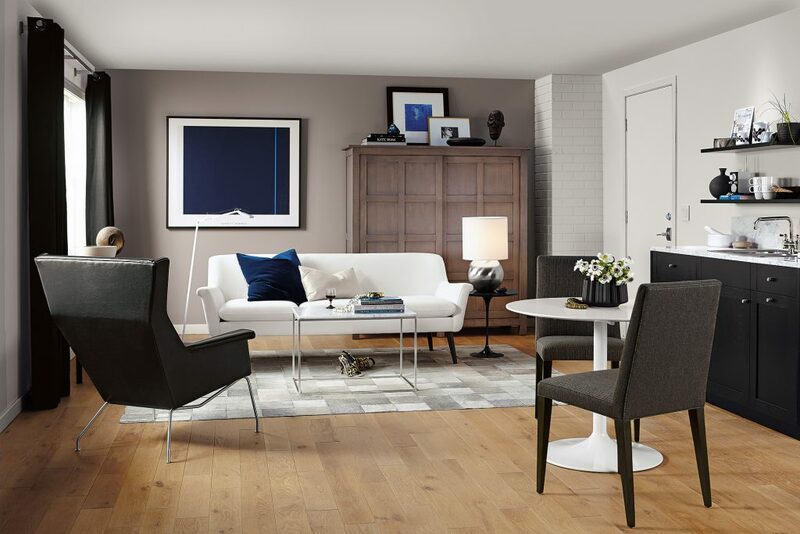 Whether you have a small home or just want to make the most of every inch, the right furniture is essential. 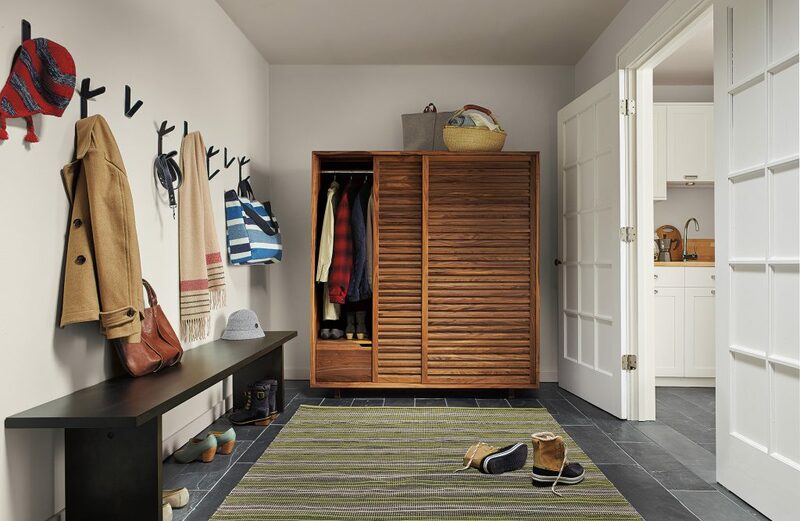 Pieces with smart designs can work for you in multiple ways, so you avoid clutter and your space will seem larger. From coats and gloves in the entryway to wine bottles and platters in the dining room, our versatile Anywhere Armoires can add beautiful storage to any room. Handcrafted from solid wood, each collection is available with nine inside storage options—including shelves, drawers, wardrobe bars and more—so you can personalize the piece to fit your unique needs. And the smooth-sliding doors keep the contents hidden for a clean, modern look. You don’t need a dedicated home office to effectively work at home. Tucked in an alcove, an unused corner or even behind your sofa, a console table can double as a petite desk that’s perfect for penning a note or working on projects. Just need enough space for your tablet or laptop? Our Ply magazine table can be turned on-end and used as a laptop stand that slides up close to your chair. Create a comfortable place to sit while concealing clutter. Our Tyler storage ottomans can hold games and media in the living room, hats and shoes in the entryway or blankets and linens in the bedroom. Rolling casters make it easy to move no matter how much you store inside.